Eye shadow is one of the best ways to add a little drama and definition to your look. Whether you prefer a subtle eye or want to use bold shades, here are a few tips that will help you look your best. To keep your eye shadow in place, be sure to add a little primer to your eyelid. 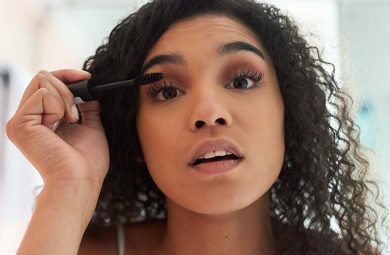 This will keep your eye makeup in place for hours, which definitely comes in handy if you’re heading to a formal event. 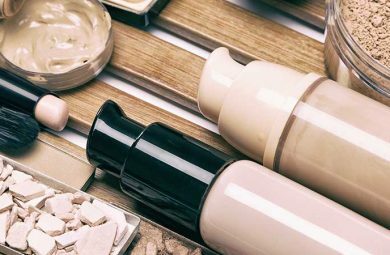 You can use primer that is specially formulated for the eyelid, or put some extra foundation primer on your eye area to help keep your eye shadow intact. Before you put your eye shadow on, take a good look at your eyes and determine their shape. You’ll apply the shadow a specific way for wide-set eyes, but your method for application will change for close-set eyes. Application methods are also different for up-set eyes as opposed to down-set eyes. Determine which shadow you want to use based on the look you want to accomplish. Cream eye shadow is ideal as a base shade, and is a single hue that should match your skin tone. Loose shadow works well when you want your eyes to pop. However, these eye shadows can be difficult to work with. Pressed eye shadow is the best option in most cases, since it’s not that messy and will blend easily. You’ll need a few brushes for applying your eye shadow. The largest eye shadow brush is for sweeping on your highlighter shade, or the shade that goes across your entire lid. A smaller precision tool is best for adding definition. You’ll use this brush to apply darker hues to the contour or crease of your lids. 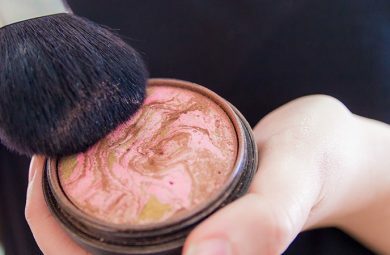 After you’ve applied your eye shadow just the way you want it, use a blending utensil to soften your look and make your eye shadow look especially polished. 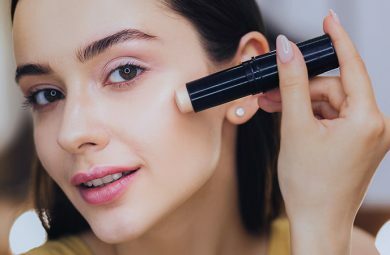 If you want to apply the shade near your tear ducts, you may also want to get a smudger brush to make your eyes look refreshed and youthful. The hues your eye shadow should match the shade of your eyes. If you have blue eyes, soft, subtle shades are best. Hues like champagne and coral are ideal for blue eyes, because they bring out the color of your eyes. The light hue also keep your eyes from looking too small. For gray eyes, sparkly blue and silver shades are best. You can also use eyeliner often if your eyes are gray to make the shade of your eyes appear more intense. If you have green eyes, shades of purple and brown work well to bring out the brightness of your eyes. Since your eyes are already pretty noticeable, you don’t have to use extremely bright eye shadow. Pinks and metallic shades are best if you have hazel eyes. These shades make your eyes look bigger and brighter, and a little goes a long way. If you have brown eyes, you can pretty much wear any color eye shadow. However, bronze and gold shades are ideal for brown eyes. Black eye shadow is best if you want to wear a smoky eye. Following these tips can make your eye shadow look its best for hours on end. Be sure to experiment with various shades of eye shadow to come up with a look that is just right for you.